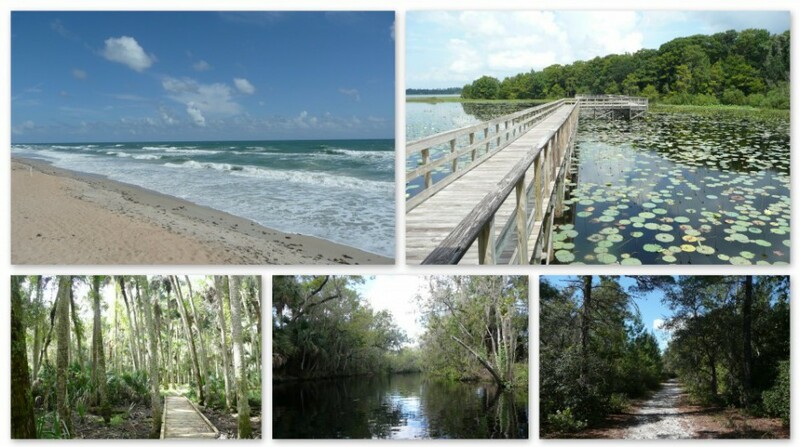 I know you were expecting a post about Orlando Wetlands Park… But I just couldn’t wait to share this one with you first. Once again many apologies for not posting more often. I truly had no idea how much of my time it would take to pursue my Bachelor’s Degree this late in life. Thank you for hanging in there with David and I as we take on new chapters in our lives. So speaking of my new found love of all things UCF, I have finished yet another semester. My how time flies! After closure of Cost Accounting and a few other things, I found the time to convince Hubby that a much needed vacation was in order. So off to Sin City we went! 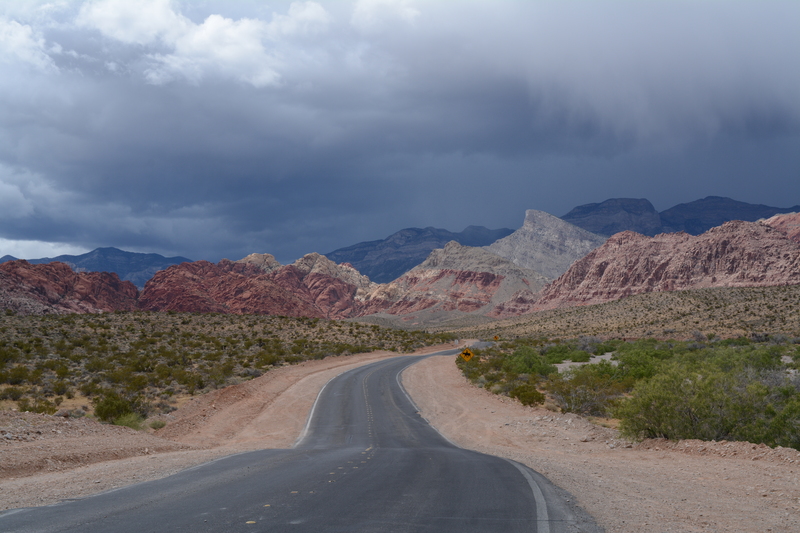 Most people don’t really think of Las Vegas as a place to share on a nature blog. But I think some of you might be a little surprised at what you might find if you look around a little. 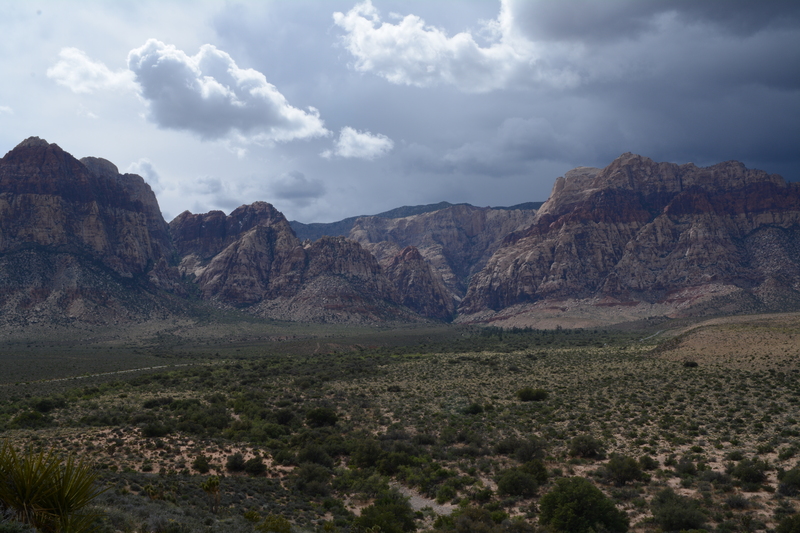 Located about 30 minutes (17 miles) from the Las Vegas strip you will find Red Rock National Conservation Area. It boasts a 13 mile scenic drive. Hubby and I didn’t even have to get out of our car to see some beautiful mountains. While there are plenty of opportunities for hiking Red Rock, I am currently a little out of commission with a fractured foot. So instead, we saw burro crossing the road in front of us, Gopher Tortoises just like home, and some really cool storm clouds. 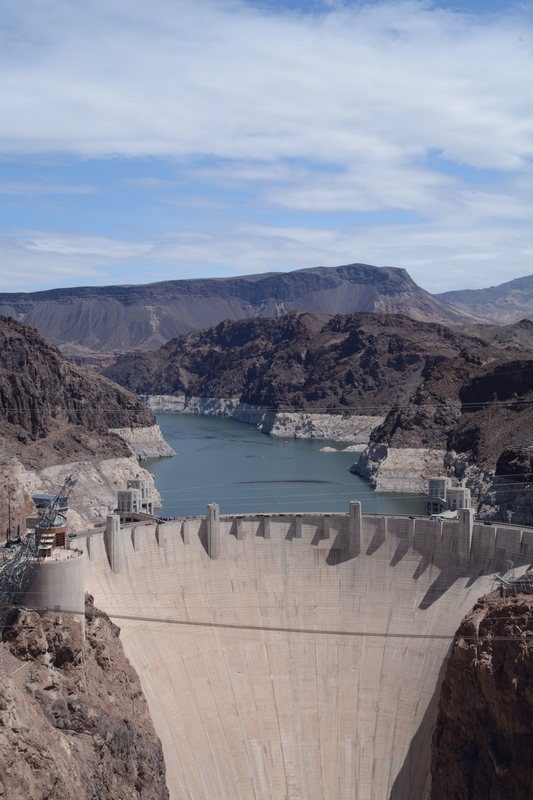 Another 30 miles South East of the Vegas strip you’ll find this dandy of an engineering feat! Believe it or not, I was able to take all the dam pictures I wanted! Who knew?? Last but certainly not least, Jeff and I are the adventurous types. So don’t take this recommendation lightly. 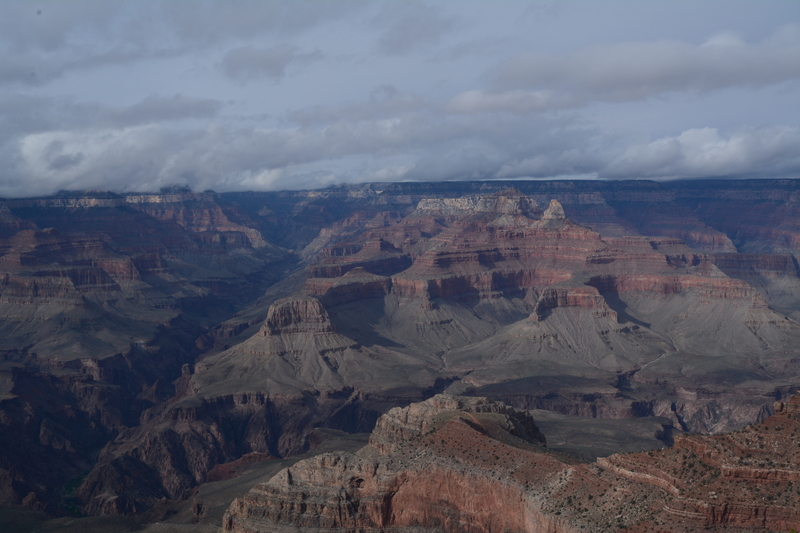 On the same morning that we woke up and drove to the Hoover Dam, we decided on a whim to drive to the South Rim of the Grand Canyon. 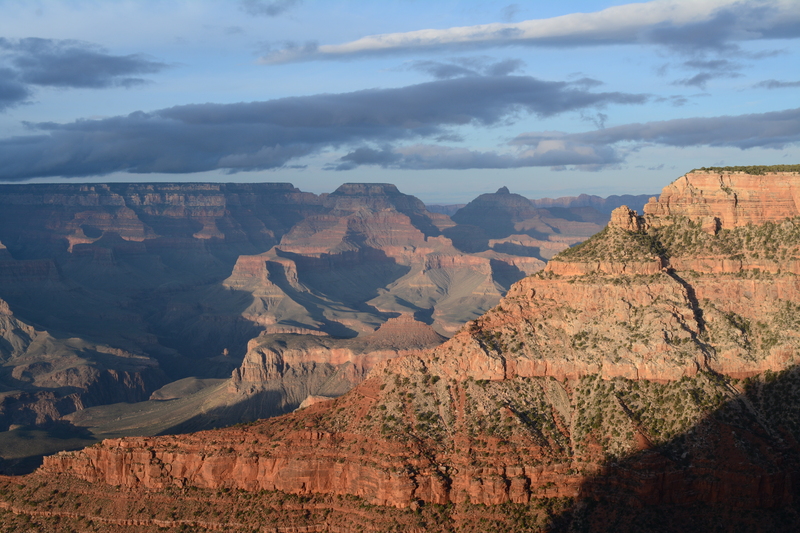 Yes, we did… four and a half hours to the South Rim viewing area…AND 4 1/2 HOURS BACK in the same day! To say that it was worth every minute of that long drive through the desert would be an understatement. Jeff and I agree that we would do again in a heartbeat. As a matter of fact we are already planning another trip to do nothing but hike and wander aimlessly through the Grand Canyon. On this trip we weren’t able to stay long, but we did encounter antelope, elk, and a coyote as we drove and one fantastic sunset at the rim! So if you’re ever in the neighborhood, I highly recommend that you take the time to get out and visit some of these sites. Our next post will be back in Central Florida.